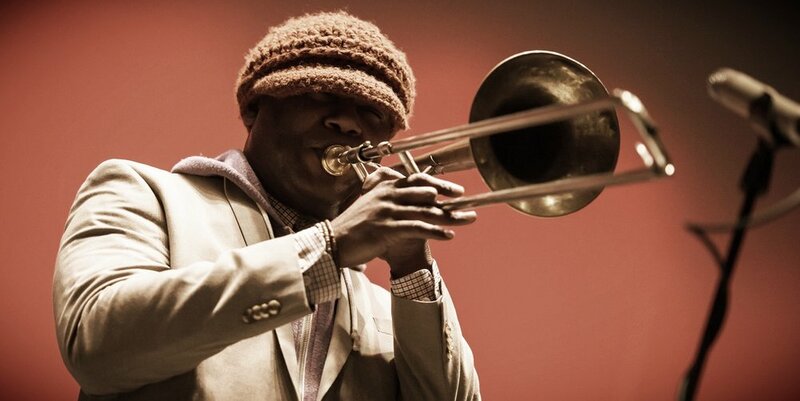 Lamar Harris is a trombonist with a unique style and sound. His influences flow from jazz, hip-hop, world music to classical themes and is incorporated into his music. He has recorded several projects with his latest being "The Shawn Carter Jazz Suite" with fellow musicians The People's Key. Lamar also plays flugelhorn, tuba, keys and has been a featured artist at Jazz St. Louis, Taste of St. Louis, Riverfront Times Best of Awards, events for the St. Louis Symphony, St. Louis Zoo,and has performed with Sheila E, Fred Wesley, Eric Roberson and many others.